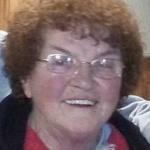 Mrs. Louise Quigley Waite, age 80, of Salamanca, NY died surrounded by her family at UPMC Hamot Wednesday, January 23, 2019 following a short illness. Born on October 7, 1938 in Amity, NY she was the daughter of the late Marion and Nettie Booth Mastin. She was married on November 26, 1986 in the Christian Missionary Alliance Church to Mr. Wayne “Sonny” Waite who predeceased her on April 30, 2001. Previously, she had been married to Mr. Andrew Quigley who predeceased on July 30, 1975. She had been employed as a nurse at both Salamanca Nursing Home and has also at the former Salamanca District Hospital. Mrs. Waite enjoyed spending time with her family, especially her grandchildren. Christmas with her family will always be remembered. She enjoyed her neighbors, sitting on her porch, and watching her humming birds. She loved to shop and was always in search of the great deals. Surviving are: three daughters, Cindy (John) Panebianco, Jamestown, NY, Sharon Quigley, Jamestown, NY, Kelly Quigley, Olean, NY; four sons, Daniel (Mary Ann) Quigley, East Aurora, NY, Martin (Tanya) Quigley, Salamanca, NY, Michael (Annette) Quigley, Little Valley, NY, Sean Quigley, Jacksonville, FL; two step daughters, Kimberly (Joseph) Brillhart, York, PA, Kelly (David Snow) Waite, Salamanca, NY; a step son, Todd (Mike) Waite, Rochester, NY; twelve grandchildren; five great-grandchildren; as well as Daisy her dog. She was predeceased by two sisters, Irene Mastin, Marjorie Price, and a great-grandson, Owen Johnson. There will be no visitation. A Memorial Mass will be held at Our Lady of Peace Parish at the convenience of the family and will be announced. Funeral arrangements are under the direction of the O’Rourke & O’Rourke Funeral Home, 25 River Street, Salamanca, NY 14779.